Firstcom Solutions Pte Ltd started out with the sole purpose of providing reliable services to business owners who do not have the time and resources to take their business online. Their purpose as your business partner is clear. Six years into our establishment, they have remained steadfast in their goal of empowering our clients to take charge of their internet presence. Firstcom Solutions have never stopped investing in their people and business to tackle the expanding needs of their clients. Staying true to their commitment, Firstcom Solutions have developed and expanded different divisions within the company to provide full-fledged support and solutions. 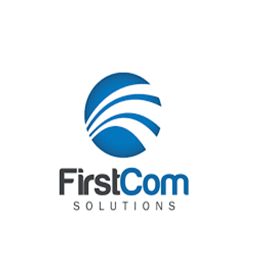 Firstcom Solutions is looking for a Content Creator in Singapore, Singapore. If you meet the requirements below, you will be eligible to apply via Digital Marketing Community. Draft a clear, attractive copy with a distinct tone. Translate creative direction and adapt points from creative briefs and translating into attractive copy concepts. Cooperate with designers, product marketing, sales, and external influencers and industry experts to produce relevant content that meets the needs of both key stakeholders and our audience. Edit and proofread copy as needed. Bachelor’s degree or equivalent experience in marketing or communications. Effective experience in managing a business social media presence. Proficient experience in producing copy for digital, print and social media channels. Ability to write and think creatively.